On the 1st June 2019 we will re-open sales of any tickets that have been refunded before that date. Ensure you’re subscribed to the newsletter form on this page to hear news of this. Join us from 28th - 30th June 2019 for the fifth Yestival, a celebration of ideas and inspiration with trailblazing, change-making speakers, tented workshops and a sense of adventure designed to set you on a new path. Set in beautiful West Sussex countryside, this is a place to make new friends and plan for the future in the perfect setting, at a festival designed to recharge and ignite every seed of positivity you've ever felt. We’re adding a new twist to Yestival, choosing Summer over Autumn and bringing the festival into a smaller, more intimate setting. 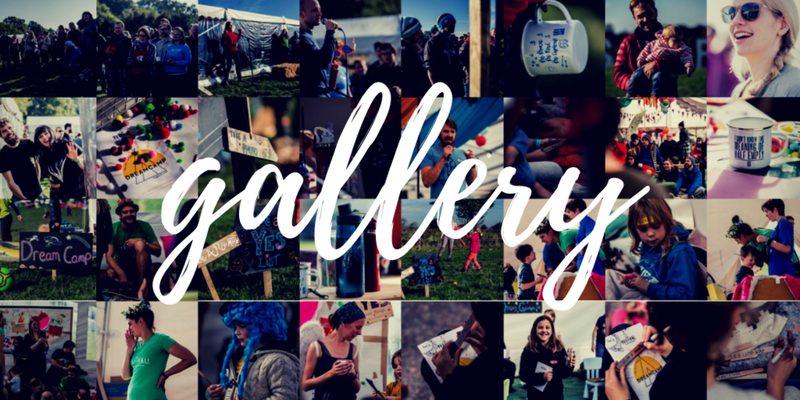 Camp Yestival is a much smaller affair than our usual Yestival, and we’ve decided to make 2019’s event smaller just to give our team a break - it’s full-on organising a festival for a team of volunteers. Camp Yestival will be on a smaller and more intimate site than usual, and as a result we’ve decided not to have a DreamCamp this year. This means there will be no activities (or catering) strictly organised for children, and therefore we’re not going to be offering children’s tickets. Why are we doing this? Beyond the lack of bandwidth to provide for kids this year, Yestival has always provided the running costs for SayYesMore, and with far fewer tickets this year we need to maximise the return, hence keeping tickets all the same price. We don’t take this decision lightly, kids have always been a big part of previous Yestivals but we’re ready to try something a bit different this year. We asked the advice of the parents on our wider team of volunteers, and they all said they’d still come to Yestival, and in some ways it would be a good excuse to find babysitters. Talking of babies, we’re more than happy for littles one to come along. Free of charge before they’re properly running (if they can properly run, this may not be the right festival for them and the other guests). We are looking at Family-Specific weekend in early July at the YesBus (for 30-40 families) as a more informal families weekend, with much cheaper tickets and less infrastructure than Yestival, and hope this will minimise any frustration felt by parents who can’t bring their children to Camp Yestival. Thanks so much for understanding our position, and do bare in mind that we’re opening up the YesBus for over 30 weekends this year and families are always welcome. Set in rolling green West Sussex countryside, Yestival is a weekend full of talks, workshops, walks, discussions and games during the day, then inspirational lectures, a bit of comedy and chilled out music at night. This is a festival with an emphasis on discovery, inspiration and discussion, rather than drinking and partying. Families are welcome, so much so that we have our own little corner of family magic to keep kids and parents happy, it's called DreamCamp! This was a festival for anyone who has ever had a dream and either seen it through or decided to hold on until the right time. Yestival is a reminder of human potential and our power to make it count. We're also really proud to be the UK's first ever single-use plastic free festival, and we've managed this three years in a row now. Everything's possible if you think a little differently, and have a group of good, supportive people around. Check out this 8min film made about Yestival 2016 by the amazingly talented Ben Arthur. We're really proud to have a top quality programme of trailblazers and change-makers on our stages. And a community of 500 of the most awesome people you'll ever meet, all in a field together. Check out what went down last year in the field of dreams! Since Dave Cornthwaite turned his personal SayYesMore motto into a wider enterprise in 2012 it remained an organic, positive idea. People began to act on the message, heading out and achieving adventures, starting businesses, quitting jobs (that they hated), fixing things, simplifying their lives. They’d often send in images wearing SayYesMore shirts in epic places. At the beginning of Summer 2015, Dave decided that rather than take on an adventure of his own, he’d remain in the UK and see how many of his Facebook audience he could turn into real friends. And thus the SayYesMore Summer Series was born. Once or twice a week Dave would invite people to take a train out of London, spend time with a group of strangers and camp out under the stars. They came, in their hundreds! Yestival is a celebration of this Summer’s success and a chance to have one big campout before the Winter sets in. Designed around the SayYesMore ethos of creating small lifestyle choices that add up to big changes, Yestival 2018 was our fourth big event, and an opportunity for a community of like-minded, driven people to come together in order to investigate options for personal and social positive change. With a host of speakers, talks, activities and seminars covering topics as diverse as adventure, finding work we love, kindness, bravery, community building, freedom, environment and passion projects, it was a celebration of over four hundred people in a little field near London for a weekend of camping and life-changing discussion. This wasn't a music festival, although there were plenty of tunes in the evenings. And it wasn’t a drinking festival either - it was a chance to take things to the next step while surrounded by nature, good people, and a determination to break down fears and make the most of life, regardless of what's happened in the past.